Kaushal & Babu Gogineni Exclusive Debate by a youtube channel is going viral on internet. 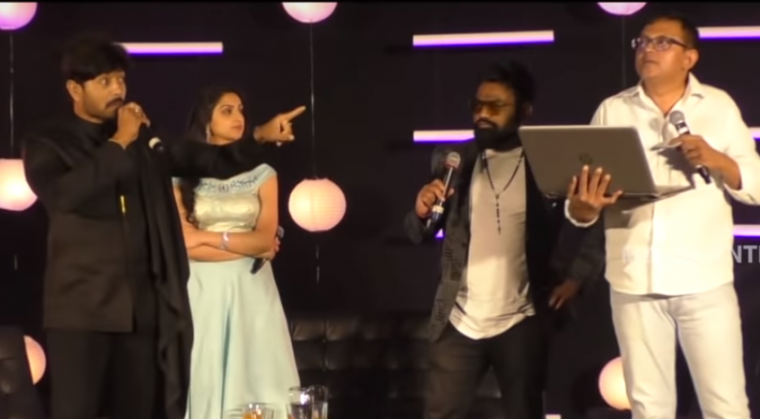 The Melba youtube channel which is one month old has managed to bring Kaushal Manda and Babu Gogineni on one stage after Bigg Boss show Telugu Season 2. The promo released has revealed shocking facts of Biggboss winner Kaushal and contestant Babu Gogineni. Kaushal wife Neelima also has raised her voice on Babu for the first time. Will have to wait and see what will happen the complete episode. Next articleDisha Patani in 50 Shades of Green!